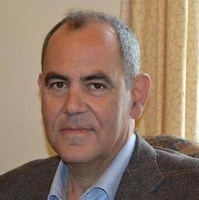 Short CV: Vassilios V. Digalakis received the Diploma in EE from the National Technical University of Athens in 1986 and the PhD degree in electrical and systems engineering from Boston University, in 1992. From 1992 to 1995 he was with the Speech Technology and Research Laboratory of SRI International in Menlo Park, CA where he served as a member of the senior staff and principal investigator for ARPA research contracts. At SRI he developed algorithms for the DECIPHER speech recognition system. He holds five patents and received founding stock from Nuance Communications for their use in Nuance’s speech recognition engine. He has also been a member of the board of Dialogos Speech Communications, the first company that deployed automated solutions for contact centers in Greece and Turkey. Since 1995, he is a Professor in the department of Electronic and Computer engineering of the Technical University of Crete in Chania. From September 2003 to August 2005, he served as the Chairman of the ECE Department. From September 2005 to March 2013 he was the Director of the Telecommunications Systems Institute of the Technical University of Crete. Since April 2013, he is the Rector of the Technical University of Crete. From January 2015 to September 2015 he served as President of the Hellenic Universities Rectors’ Synod. His research interests are in machine learning, pattern and speech recognition, speech processing, multimodal interfaces and dialog systems. Prof. Digalakis has authored many articles in journals and refereed conference proceedings, and received two best paper awards from the IEEE Signal Processing Society in 1999 and 2000. According to Google Scholar, Prof. Digalakis has received 4268 citations in journal and refereed conference proceedings and his h-index is 34 (January 2016). Research Areas: Pattern and speech recognition, Digital communications, Signal processing, including speech and image processing, Information theory, estimation theory and stochastic modeling.